Buyer's financing fell through at 11th hour. Welcome to 1830 Washington Blvd. This home has 3 bedrooms and 2 1/2 baths. Home features high end lighting fixtures, bamboo hardwood floors, large eat-in kitchen with oversize walk-in pantry, tall and vaulted ceilings, custom deck, custom tile tub surround in both full and master bath as well as double vanity and large walk in closet in master suite! Call today for a showing, you will love what you see!!! Colonial Terrace is a subdivision within the city of Louisville, Kentucky. There are currently 1 Homes for Sale within Colonial Terrace, with asking prices ranging from $209,990 to $209,990. The average list price per square foot of the available inventory in Colonial Terrace is $181, which is above the Louisville average of $155. The Average Sales price of all sold real estate in this subdivision for the past year is $158,623. Recent comparable homes have been selling for 98.10% of their asking price. Waterfront homes represent 0.00% of the available Colonial Terrace inventory. The population of Louisville, according to the 2010 Census, is 597,337. The total number of households in the zip code of Colonial Terrace is 4,665, with an average household size for of 2.31 people. The total number of renter households within the zip code of 40242 is 1,425, which means that 69.45% of households in this zipcode are owner occupant households. 1830 Washington Blvd, Louisville KY 40242 is a Home, with 3 bedrooms which is recently sold, it has 1,525 sqft, 0 sized lot, and 2 Car Garage,Attached,Entry Front parking. A comparable Home, has 5 bedrooms and 1.5 baths, it was built in and is located at 1813 Washington Blvd Louisville KY 40242 and for sale by its owner at $ 209,990. 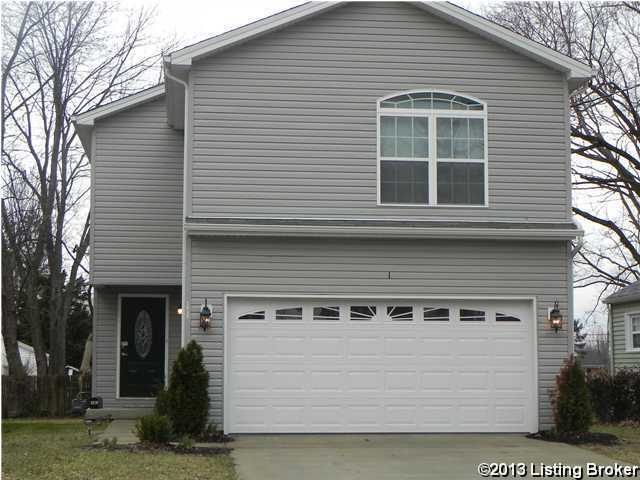 This home is located in the city of Louisville , in zip code 40242, this Jefferson County Home, it is in the COLONIAL TERRACE Subdivision, PLANTATION and ROLLING HILLS are nearby neighborhoods.